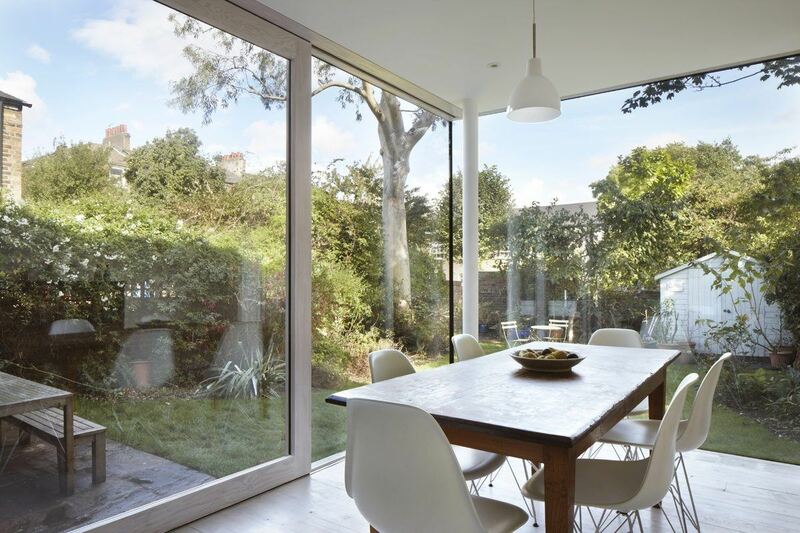 This four-bedroom Victorian family home in Hackney has been sensitively expanded with a bespoke extension, blending seamlessly into the existing building. 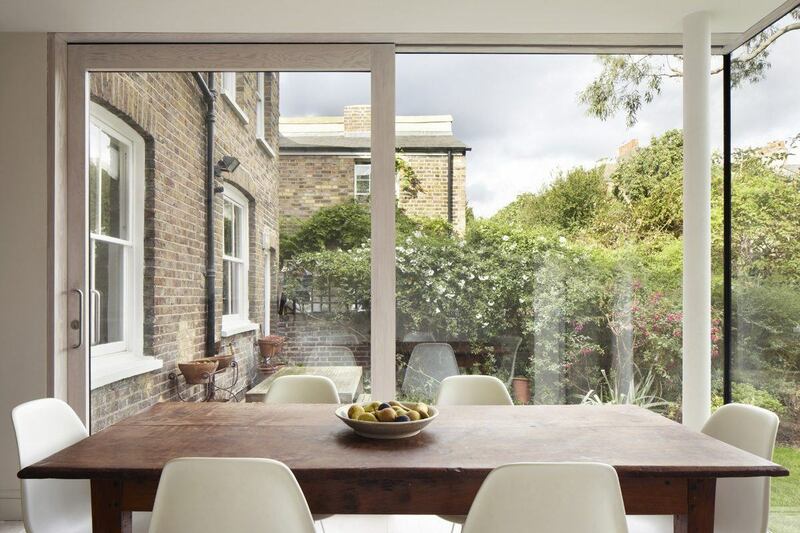 Materials were carefully re-used where possible in the construction process to maintain the East London tradition of using locally-sourced materials. 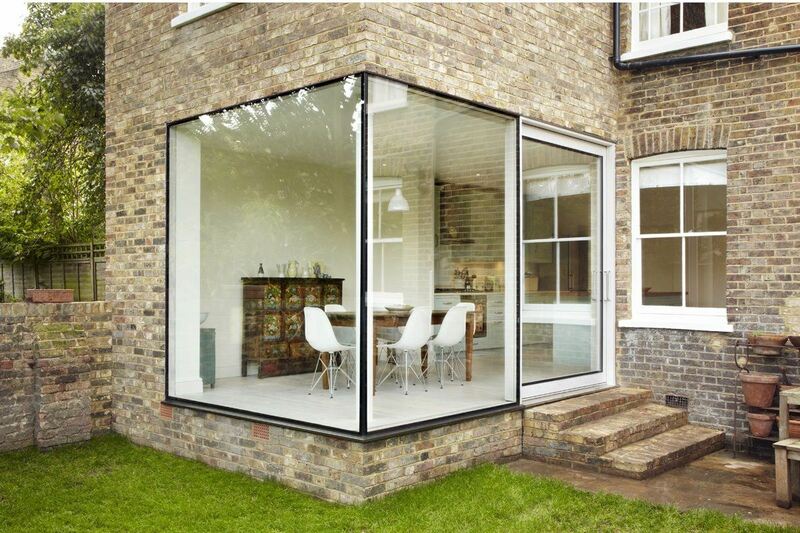 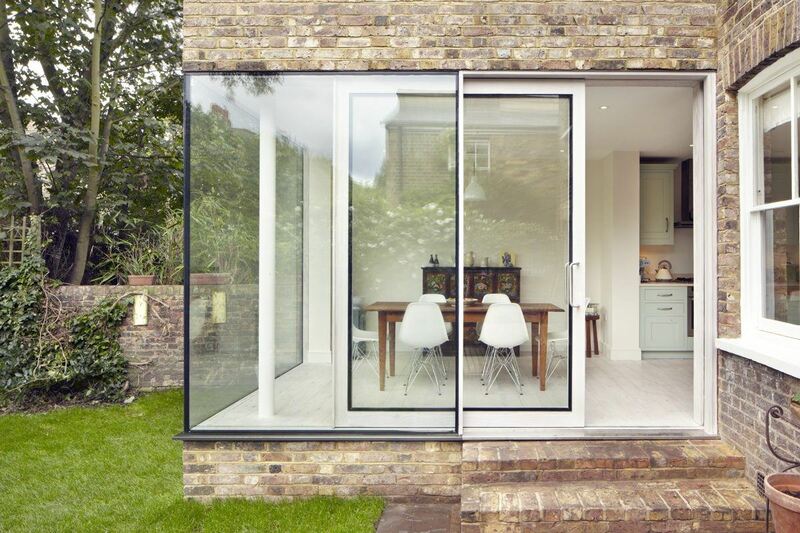 At ground level, it appears as if a section of the brickwork has been removed and replaced with a large frameless corner window that wraps around the rear of the house and carves out an entirely new space, opening up the kitchen to the garden. 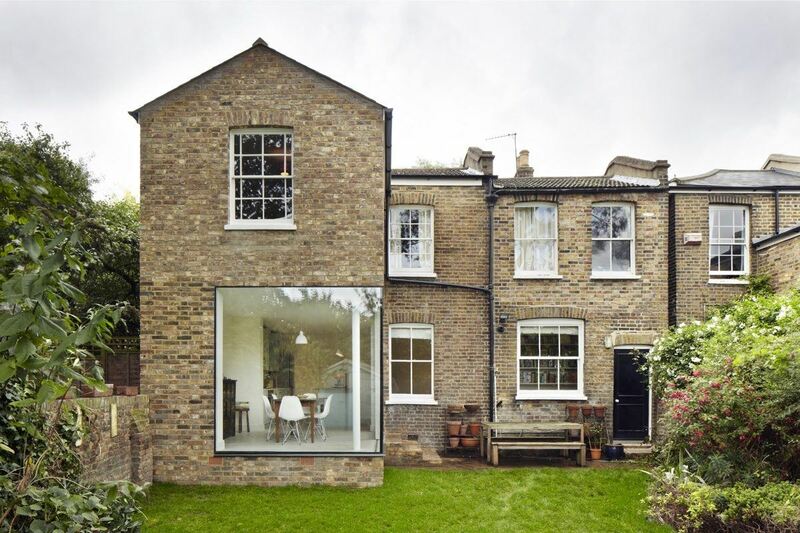 Nicknamed the Vegetarian Cottage, this elegant extension is proof of how contemporary architecture and London’s historic housing fabric can work in harmony.